no October nail inspiration post would be complete without Halloween nail art. 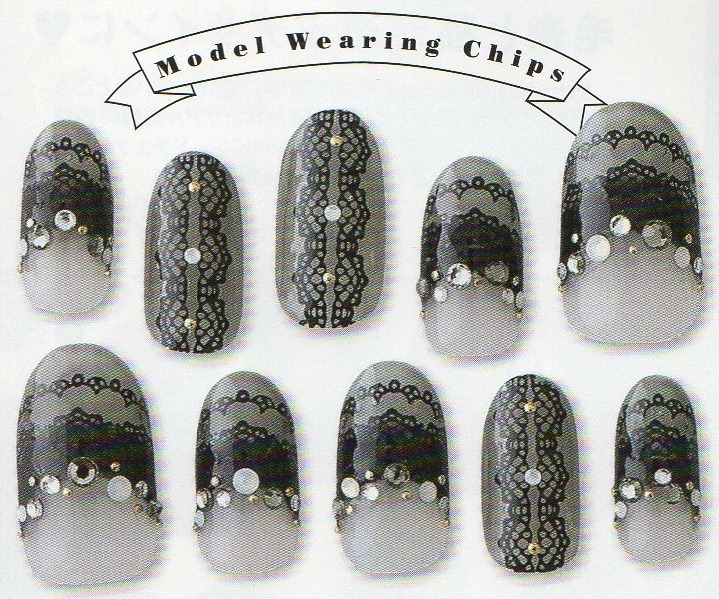 This time I was drawn to a fabulous dark lace nail design from the current issue of Nail Venus. Black lace on a grey background, with Swarovski crystals. Very elegant and perfect for a Vamp look. Lately I am also into freehand nail art. I love experimenting with acrylic paint and different nail art brushes so here are a couple of tutorials I found interesting (they are from Nail Venus as well). 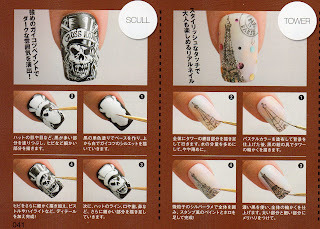 The first is a skull in black and white, very appropriate for the season but also for a deathrock or gothic manicure. 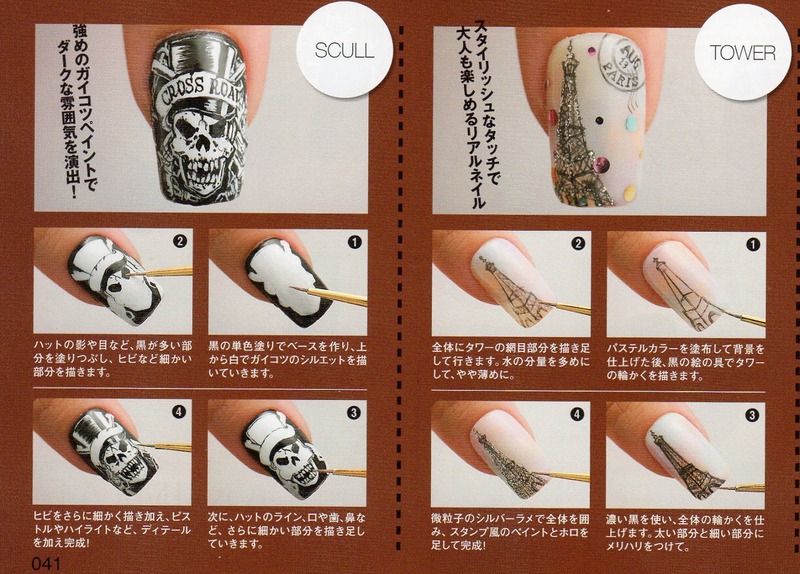 The second is a romantic Eiffel tower nail art design. Both are awesome and I definitely want to try them. How about you dear readers? What will you be wearing for Halloween this year? I really liked these tutorials. Aren't the scans out already? I haven't checked lately. Yes, I find that design very elegant and charming. 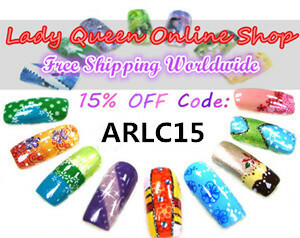 Besides free hand painting there are also lace nail stickers that you can use to achieve this look. Hi! Thank you very much for your interesting offer, I will consider it.